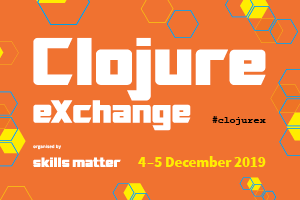 The format of this talk from Malcolm Sparks will be a whistle-stop tour around many elements of a large Clojure application in use at Deutsche Bank. It will include a few slides, demos and code reviews, illustrating the interesting parts as well as tackling the boring but necessary 'non functional' concerns. Malcolm has been writing Clojure since 2009, has led Clojure teams and been involved in many successful Clojure projects. He is an experienced Clojure trainer and has written numerous open-source libraries including bidi and yada. He is also the founder of JUXT, a consulting and software development firm that uses Clojure exclusively.